A year round up post! 2013. Yes you have been a good guy for a change. A lot of downs quickly followed by many ups. Of course like all things in life I took time to put two and two together. But eventually almost every single event started to seem one better than the last one. I kicked off my blog again this May. Yes only about seven months back. How strange it seems. I believe its been years I was writing, reading and interacting in this world. But no, only about seven months. And to think about it, this rejuvenation was a result of something catastrophic at work. Imagine! I cried and brooded over it for months but if it was not for that one isolated thing, I would not be here writing to you. I met some amazing people these last few months. Formed friendships, joined innumerable number of secret groups. In fact my facebook activities sky rocketed precisely due to blogging! And now my homepage on laptop is actually the write tribe group 🙂 Often days go by before I check my FB timeline for updates and other things. Whatever it was I now realise (with greater faith) that everything happens for your own good. And it is this amazingly talented set of people who contributed towards an anthology too. In which your humble friend is also featured. Thirty Six of us have contributed what we believe is some of our best writings for you to savour under one cover to cover ebook. 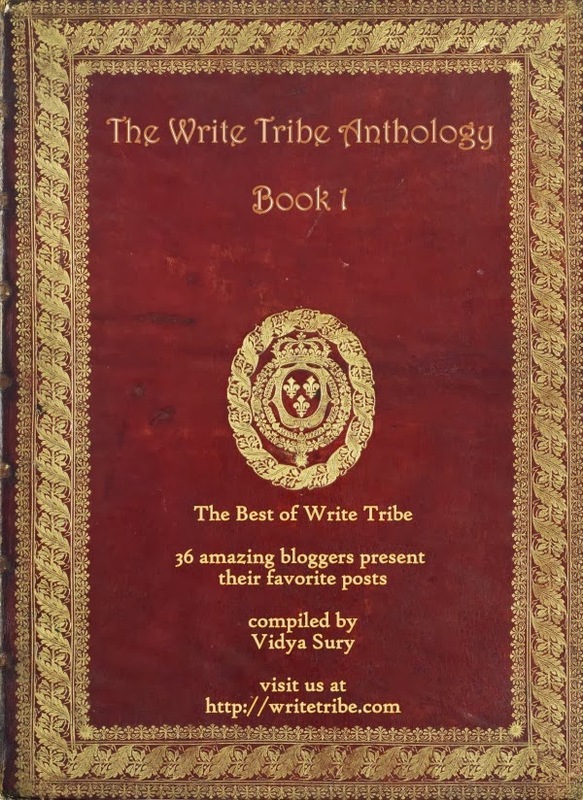 I would recommend this as a must read and besides that also ask you to connect with each one of these bloggers through their writings here and at their blogs (links in the book). But this one cannot be wrap if I do not mention Vidya Sury who is the inspiration behind this idea and well also the one who finally complied it for us. In this endeavour our very own Vaisakh too pitched in his efforts. But nothing would have been possible had it not be ever so amazing, Corinne Rodrigues. This lady is the reason for a lot of whys in my life. Another day another post. Now all year end posts should have a ‘Way forward’ too. Or so I believe. I have yet another announcement. There is an organisation which has attracted me for quite sometime. And I have been thinking of donating there for a while now. I was about to donate on 1st of Jan when an idea clicked me. Recently I stumbled onto amazon.in and flipkart affiliates. And I have decided that all earnings I gain from these will be forwarded to nanhi kali. My target is 2500 rupees which supports a girl child (from class one to five) for a year. This includes academic support towards improving learning levels, material support like uniform, bags, books, hygiene material so that she can attend school with dignity and social support. And hence not drop out. In the process I will also received updates on her progress along with photographs. How can you support me in this endeavor? You my friend can try and attempt to purchase books/electronics etc from amazon.in and flipkart through the widgets on my site on right. This way a part of your bill amount will be given to me as an affiliate commission. And that amount I will add towards a donation to Nanhi kali. The moment it adds up to 2500 (my first target) will donate and of course update here! And I connect this post with Write Tribe’s Wednesday prompt for ‘New year’. Wishing you a great year, Richa….What a brilliant way to utilise your talent (Nanhi Kali) I hope all your wishes come true! Wish you a wonderful 2014. A very noble cause. One of the Nanhi Kali team – Sheethal Mehta was in my school (2 years junior to me), I know her well. No probs Richa. if you need any info, I can let Sheethal know. A very happy new year to you too Vaisakh 🙂 and I would love it if you would perhaps come through my site for all your purchases at flipkart 🙂 Thanks a lot! Thank Poonam 🙂 a happy new year to you too! Loved your noble thoughts to kick off the year to a bright start! Way to go!! Shall do!! Wish you and yours a brilliant 2014!! Your target for Nanhi Kali will be achieved in to time. A good beginning for a new year. God bless you Richa – and may 2014 turn out to be everything you wish for, aspire for and hope for! Superb Richa…wish yoh all the very best in this noble cause! May you keep achieving greater heights dear…Happy 2014! Thank you so much Aditi 🙂 and yes a happy happy 2014 to you too!! A nice endeavour using your talent to help ‘Nanhi Kali’..hope this year will fulfill all your wishes..Happy new year .. Thanks a lot Shilpa 🙂 me too looking forward to your fantabulous UBC posts!! hey Richa, can you tell me more about the organization you are trying to donate to?I have this idea of sponsoring a child too and was thinking about savechildren or some other big sites like that….but if u can tell me about the Indian site that you have in mind ,I would be more than glad! Happy New Year Richa! Hope 2014 is an amazing year for you. Change is a constant in life…and with the downs, come the ups as well. 🙂 Good luck with everything you endeavour to do this year! Thank you soo much 🙂 Yes they do darling downs are the precursor to many ups! Lovely post Richa ! A very happy new year to you dear ! 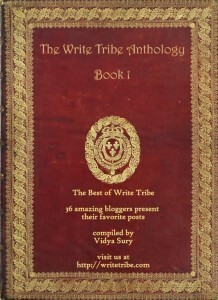 Yes, writrtribe is the site which is inspiring me to start a blog challenge myself. though i am very new to the group, and rarely know anyone. All the best for the great cause that you have taken up and I am waiting to read the live story!! Wish you a very Happy 2014. That’s a brilliant way to support. All the best and I will remember to route through your blog next time I purchase. All the best for this noble cause… Happy New Year! I had a very bad year. That’s all what I mean. I’m looking forward to a better year. Wish you too a still better year. Wow!This is an inspiring post Richa. Congrats on the new initiative. I would certainly like to be part of it. Wishing you a Happy and Prosperous New Year! Richa! Your 2014 has kicked off with a bang for the UBC challenge and it gonna rock.